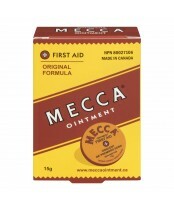 Folks refer to Mecca Ointment as the trusted household remedy. It has been passed down through generations of families because it works. And 125 years later, Mecca Ointment remains a family tradition.